PALO ALTO, Calif. (AP) _ Hewlett-Packard’s ill-fated acquisition of software maker Autonomy will cost another $100 million, as the personal computer and printer maker prepares to settle class-action litigation tied to the 2011 deal. HP wound up paying a 64 percent per-share premium for Autonomy as it built up its business software line while retreating from consumer electronics. The $10 billion price tag was 11 times greater than Autonomy’s annual revenue of $870 million. Only a month later, HP fired CEO Leo Apotheker, one of the deal’s biggest backers, as the company struggled to justify disappointing sales and a series of missteps. HP ended up writing off most of the purchase price for Autonomy after alleging that the company had misrepresented its true value during sale negotiations. Autonomy’s founder has denied the allegations. Shareholder outrage over the Autonomy deal and other soured acquisitions triggered a shake-up of HP’s board in 2013. Hewlett-Packard Co. said Tuesday that its insurance will pay the $100 million to a settlement fund to resolve a lawsuit stemming from the impairment charge. The money ultimately will go to people who bought HP shares between Aug. 19, 2011 and Nov. 20, 2012. HP insists that the litigation has no merit, but that it chose to avoid a protracted legal battle. The Palo Alto, California, company and its current and former executives and directors will be released from any Autonomy-related securities claims as part of the deal. HP stayed out of major deals for several years following the Autonomy purchase before announcing in March that it would buy wireless networking company Aruba Networks for about $2.7 billion. The PC maker has struggled to adapt to tech trends and shifting customer preferences. It is preparing to split into two companies _ one focused on selling computer systems and software to businesses, and the other selling personal computers and printers _ as part of CEO Meg Whitman’s plan to stem declining sales. 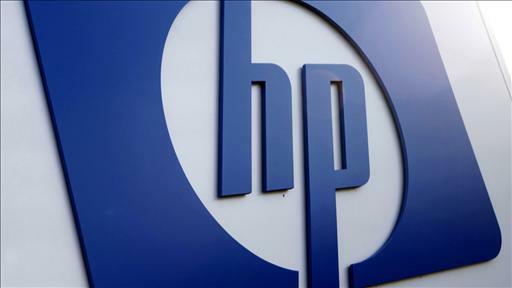 HP’s share dipped five cents to $32.74 in afternoon trading. The stock has tumbled 18 percent so far this year.